Double L's Excelerator Pig and Swine Nursery Floor has 7/16" slot openings that provide 50% open space manure filtration. This equates to a cleaner floor that helps protect animals from bacteria-causing illness. 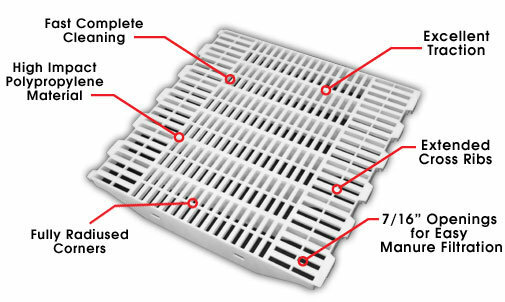 Excelerator slat flooring is 24" x 24" and requires fewer fiberglass support beams than the competition, reducing the cost of installation. Slats easily interlock for better stability. 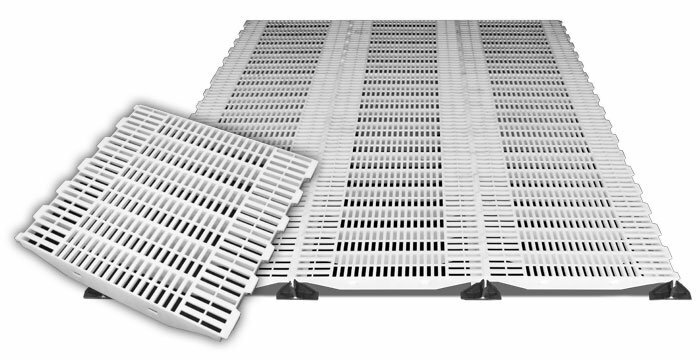 Made of rugged polypropylene, Excelerator Swine Nursery Flooring is non-conductive, reducing chilling and stress on your pigs.